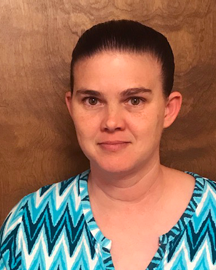 Educated not only in medical billing, but as a medical assistant, Cathy has been assisting doctors since the 1990s before moving into billing in 2014. Working with pages of numbers all day long, Cathy knows intimately that it helps to have great vision and is grateful for hers. When her husband retired from the military and they returned to the Upper Valley in 2016, Dr. Sam’s Eye Care was fortunate to be able to snap her up. For Cathy, the decision was made appealing by the interaction with our patients and staff. Outside of work, Cathy loves spending time with her family, made all the better now that her husband is free from the demands of his military career. She enjoys reading John Grisham and Stephen King. Cathy loves all the colors of fall, as well as (wait for it…) teal green.